← A poem about being a writer by a guy who would know. 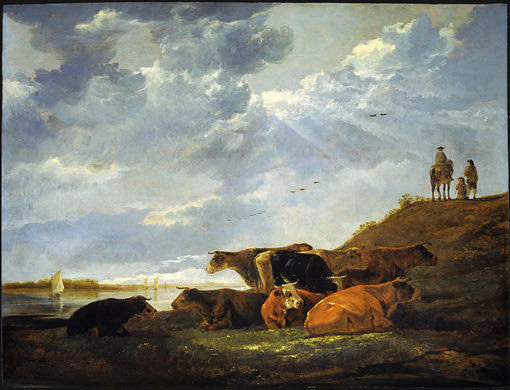 Aelbert Cuyp. Dutch Painter. 1620 – 1691. Lived & painted in Dordrecht. My favorite painter. For the last two years anyway. 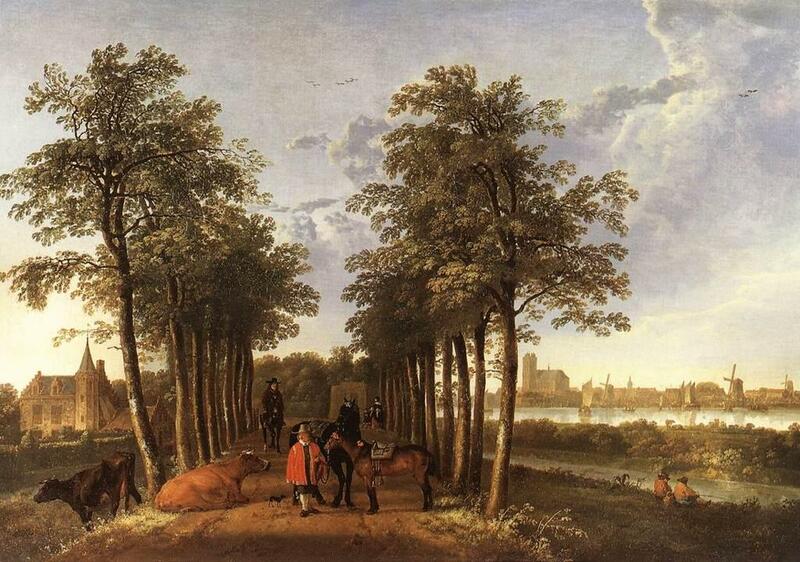 This painting, The Maas at Dordrecht, hangs in the National Gallery in Washington D.C. ——(this is a great & easy trip if you live in Richmond. first, look where the National Gallery is (click on the map below, the National Gallery is in brown & there are two wings) …. it’s right next to the Capitol which is right next to Union Station which is where the train from Richmond lets a person off. It’s an early morning ride to D.C., a walk to the museums, lunch at Cafe Berlin behind the Capitol, and a train home) —— If you didn’t take art history in college–neither did i & i regret it–the beginning of your education could be a trip to this museum, a close reading of the paintings they have & even the slightest notice of the order in which they are arranged. When i was younger i laughed at art history for how useless it seemed. Later, i laughed at art history majors for how unemployed they were. In the history of art you can see man’s time on earth in overview. You see ideas form, flourish, then become infected by a new idea and change into something different, not unlike how the genes of a family progress through time. I think it’s quite a bit like God must see us. How we reach for ideas. How we urge our selves onto pages of paper, canvases, and carve what we think is us out of rock. And all of it always in motion, leaning & straining. Good grief, i was nearly 40 before i saw even bare outlines of thought. Don’t stay stupid as long as me. A knowledge of art history, especially one gained on your own from your own reactions to work will teach you more about the world & how it works than anybody in undergrad ever tried to. 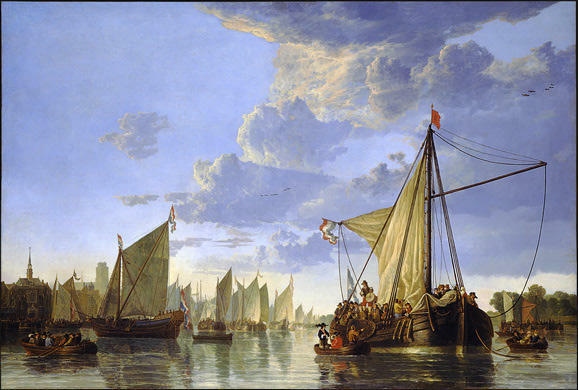 The painting below is another of Cuyp’s. He was part of a family of painters who lived in Holland and painted what i–in un-art-history-educated parlance–would call ecstatic realism. He looked at the world he lived in, saw beauty in actual settings, and painted them, mostly as a mirror of what he saw but beyond that, also, way beyond, to make the image contain the wonder he felt existed in such scenes. It is difficult for the audience today to imagine the impact of having the normal become the subject of such highly charged painting. Such apprehension is not above those with an appreciation of art history, even so little as i have.